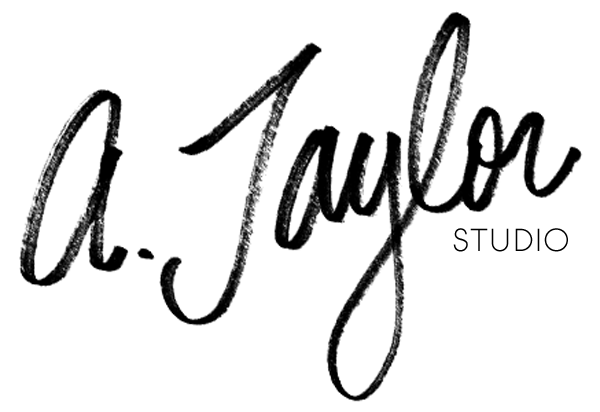 Before beginning A. Taylor Studio, or getting engaged (which kind of happened around the same time - about a year ago), I never heard of the phrase "wedding season." I never searched for the hashtag, #weddingseason. I never understood it truly, until now. In the wedding business, wedding season is no joke - it is truly a whirlwind of happiness, tied with a little frantic stress. Weddings are the BEST, but prepping for a wedding should be an Olympic sport. There are so many organized people out there, so many clients I've had, who are all-stars when it comes to prepping for #weddingseason. This May, for example, has been the busiest and craziest month in terms of my little business. Every weekend has been devoted to weddings, which has been lovely - but the time flies! And now, boom, we're in June. The hustle is real. 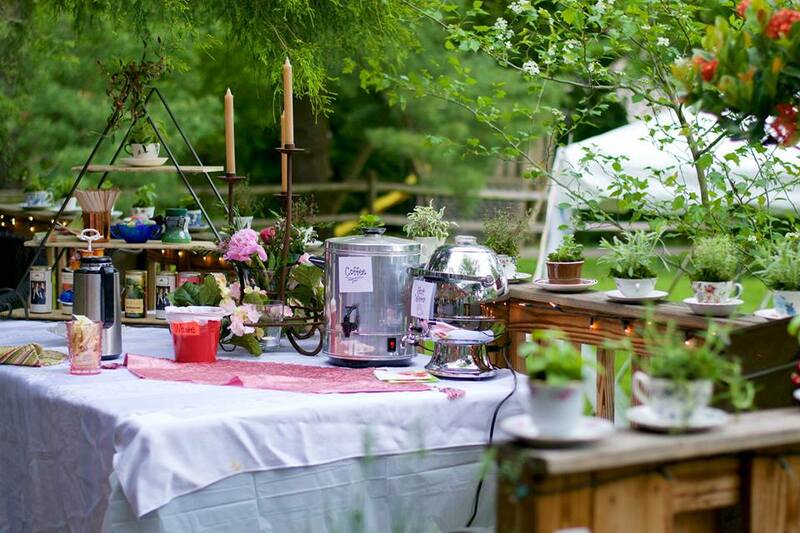 My wonderful bridesmaids and family threw me the garden bridal shower of my dreams! It was picture-perfect, so detail-oriented, and right out of a Jane Austen-esque English countryside. There was so much evidence of planning and thought, it made my heart melt. I am sooooo grateful to be surrounded by THIS MUCH love! The shower itself was located at my home, in my mom's beautiful garden. There was a luncheon, with an emphasis on health and light plates like sweet strawberry and spinach salad, mozzarella caprese sandwiches, and quiches. It was so nice to invite so many "new" family members to my home! Everything from the games, the cake, the gifts, and the favors were so thought out. How cute were the herb teacup favors!? I was a wedding guest at two weddings this May - both of which were SO important to me. My very best friend from Siena, C, got married to her dashing groom! They are the epitome of adventure and spontaneity and living fully. I am so happy for them both! Her seaside wedding in Cape May was truly beautiful, and the party was SO. MUCH. FUN. I love how they immersed their guests in everything they love - culture, music, good food, good scenic views...and most of all, their love for eachother! Another important wedding was actually a friend of S's, but an #ataylorstudiobride! Jetsetting from LA to Philadelphia, the couple that got married was seriously the cutest pair of high school sweethearts. J's custom pieces were some of my favorite pieces that I have ever made, hands down. J's wedding made me so excited for our own wedding in October. Her eye for detail is fantastic - everything from the venue, the vows, to the cocktails, to the adorable globe she selected herself for the guestbook (!!!) was beautiful and consistent with their wedding theme. Her countryside wedding was the ultimate blend of bohemian sophistication. Loved every moment of it, and I am so thankful to have been there! Probably the most ambitious project of my month was shooting a wedding by myself. It sounds insane, but it was such a rewarding and fun experience - definitely challenging, but I have learned so much about the wedding process through the lens of my camera. Just being a part of J's big day was a huge honor and privilege. I was so glad to have captured it all (and even have a little calligraphy tied in!) on her beautiful spring wedding day. The process of shooting a wedding is truly a p.r.o.c.e.s.s. of trial and error, experience, and experimentation. It is also a process of instinct, patience, and perseverance - getting the shot is so important, as opposed to making the shot. I am a big believer in candids as opposed to poses, but putting my beliefs to practice helped me to reinforce all I know about photography. It was a blessing to be there! Throuhgout the month, I've been working on numerous projects for more lovely #ataylorstudiobrides! Lots of mirrors, wooden signs, and envelopes. It is so lovely to be able to be a part of the wedding details for these amazing brides. They are all visionaries, too, which makes my part a whole lot easier! Seriously, the ideas that they have are so inspiring. It's all in the details, after all. Working on wedding pieces is my absolute favorite, and it's increasingly becoming the most rewarding part of what I do. How lucky am I to create this stuff!? May has been a month of hustling and blowing through lots of Brause EF-66 nibs, but I wouldn't have it any other way.